Concept retirement savings with piggy bank and coins. 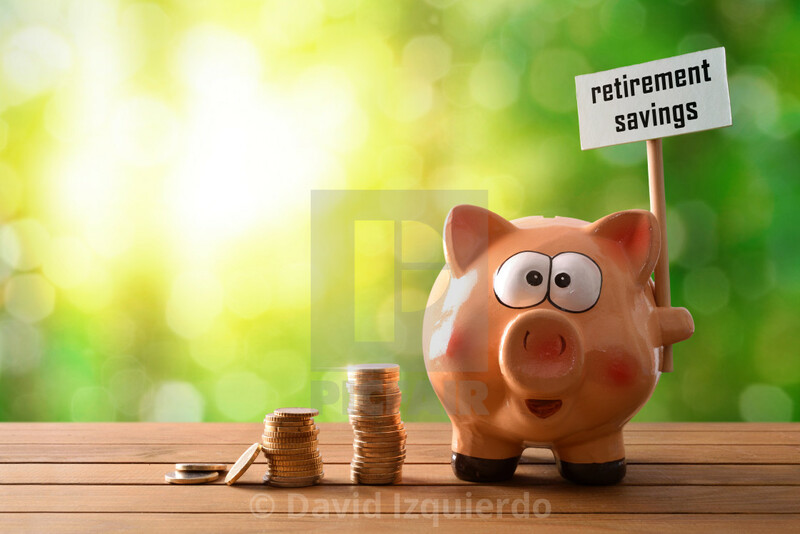 Piggy bank with retirement savings billboard and money on wooden table and nature background with bokeh. Horizontal composition. Front view.